I am all for dressing from the feet up. More often than not I prep an outfit based around the footwear I will be wearing that day. Generally I TRY and wear sneakers where ever possible, because they’re my jam and I love to be comfortable. To ensure your footwear is looking fresh this season I have rounded up my must have silhouettes for June. They best part? From the office to post-work drinks, each shoe makes for the perfect day-to-night addition to your shoe collection – yes, including the sneakers!!! I loved pairing MIMCO’s Sterling Sneaker with unassuming outfit combinations like a silk maxi dress and leather. The juxtaposition between fabrics creates a sleek look. 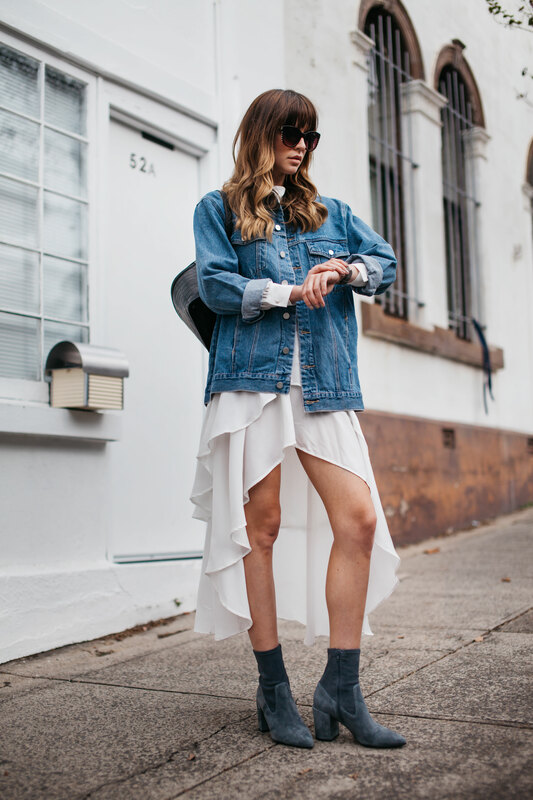 For trans-seasonal weather, I always reach for a denim skirt, and this season is all about an A-line style. Layer a bomber over a white t-shirt for the perfect ensemble. Pair this back with MIMCO’s Turret Ankle Boots to elevate the look – the chunky heels make this classic look feel fresh. I love monochrome for an evening look, but sometimes it can be a little too safe, so I always try and add some personality with accessories. 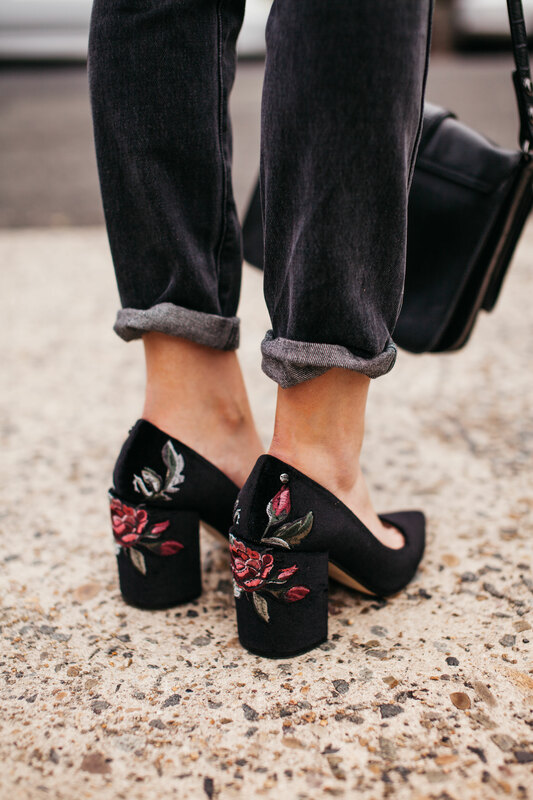 A jewelled pair of heels and a statement bag is an easy way to breath new life into classic looks. This is my go-to outfit when all else fails. Styling a pair of straight-legged jeans, a blouse and the perfect pink flats will work for the office and Sunday brunch. Finding the perfect balance between staying warm and looking chic can be tough once the temperatures drop. I love balancing an ultra feminine dress with something a little masculine. MIMCO’s Sanctum Ankle Boots add texture and some edge to an otherwise casual outfit. Shot in collaboration with Mimco – all creative content and opinions are my own. me please, where could i find some?